I am offering my experience with scanning elongated coins. I scan EC's mostly for trading purposes and to see which ones I already have in my collection. I have scanned EC's and later re-scanned them because of a better technique, appearance or equipment. If you have a lot to scan in your collection start off right by getting the proper scanner. It's hard to determine what coin you have if the scan is . Basically there are two types of scanners. The first type is CIS and the second is CCD. I have an HP All-In-One with a CIS type scanner. I also have an Epson CCD type scanner (with LED lights). Both were used in this review. Pros: Great for scanning elongated coins because of it's depth of field focus and close to true colors. A CIS type scanner will focus only on the portion that is in contact with the scanner glass. If the elongated coin is curved the raised portion will be out of focus. 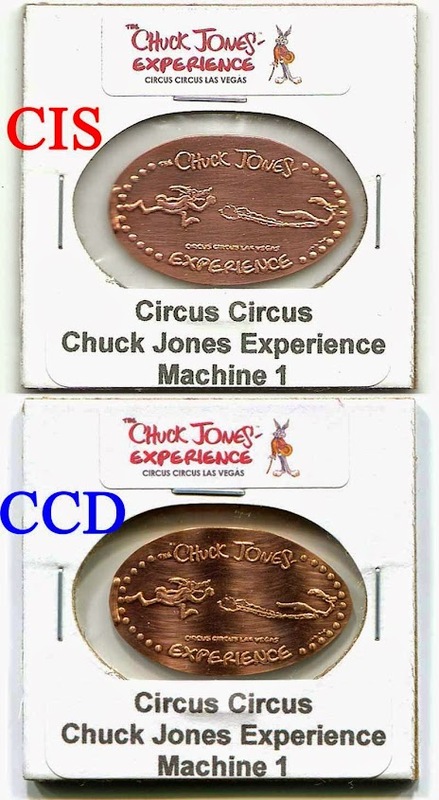 A CCD type scanner will focus on the entire elongated coin even if curved. Elongated coins are flattened using extremely high pressure and generates a lot of heat. During this process the heat bends the coin causing the coin to remain curved after it cools. I picked a well curved elongated coin for this scanning test. 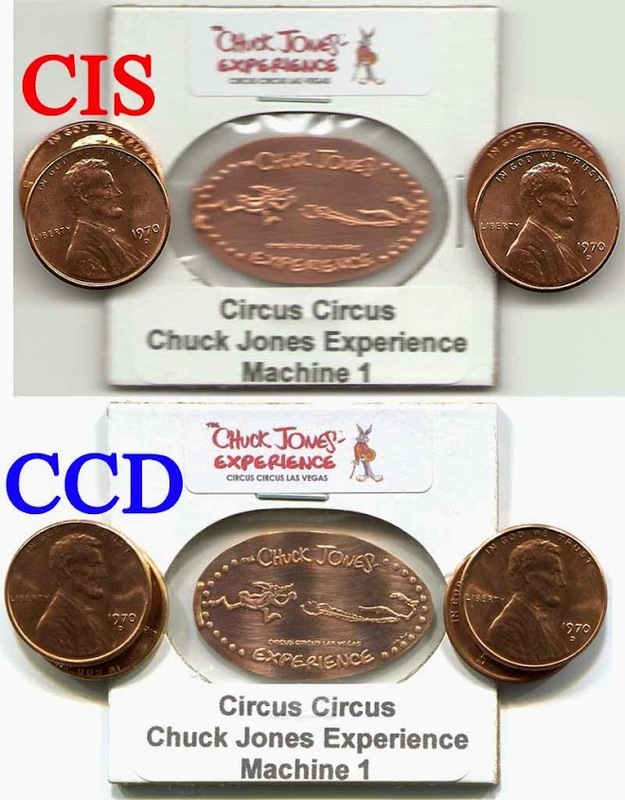 The left coin was scanned using a CIS scanner. On the right the same coin was scanned with a CCD scanner. Only the top and bottom portions of the CIS scan are in focus while the middle, raised portion is . On the right the entire CCD scan is in focus, even the curved, raised portion. 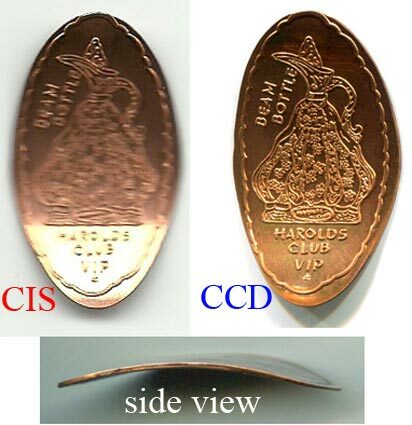 The bottom picture shows the curve in the coin from a side view. I can only describe this coin as "wavy". The below picture shows the wave. The dot border is visible on the bottom of the coin where the design is. This "Side View" scan was done on the CCD scanner. The CIS scan is in focus only where the coin was touching the glass bed of the scanner. On the Maui Tropical Plantation coin in the CIS scan the words, the fruits under the words and catch notch are . 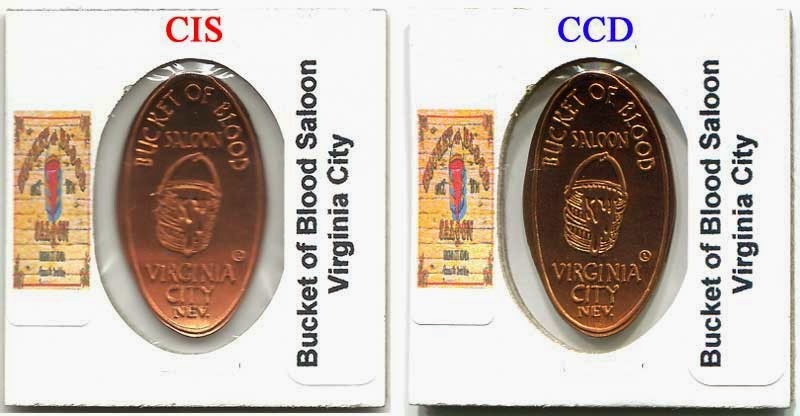 In the CIS scan the middle portion of the Bucket of Blood Saloon coin is where the coin is curved. I picked a 2X2 holder containing an elongated coin that was fairly flat for this test. The coin is almost entirely focused in the CIS scan with slight fuzziness on both ends. I then placed the 2X2 holder atop two pennies on each end. It's clear to see how distorted the CIS scan gets just from elevating an object slightly. The CCD scan remained focused. When shopping for a scanner check the "Specifications" of a particular model to see if it is a CIS or CCD type. Here are two examples of Epson Perfection scanners. One is an Epson Perfection V370 and the other is an Epson Perfection V19. Different devices are used for scanning. Conclusion: I'm not bashing the CIS type scanner; it has it's place. If you're scanning elongated coins use a CCD type scanner to get depth of field focus. Also, newer CCD scanners use LED lights and the costs have dropped.